Can a simple screen protector deliver 3D content without the glasses — or the expensive holographic smartphone? Lucid and Holitech think so. The Holoscreen is a smartphone screen protector that allows users to view 3D content without the glasses inside an app. The $30 accessory functions as a normal screen protector outside of the 3D app. When viewing 2D content outside the app, the companies say that the screen protector doesn’t alter the usual smartphone screen, serving as just the usual thin-film style screen protector. The 3D images and video, on the other hand, are sharp and appear to almost pop out of the screen, according to Holitech and Lucid. The app will allow users to view 3D content, as well as allowing some devices to capture their own 3D content. Lucid’s software Andromeda will be used to capture 3D content on some midrange devices. 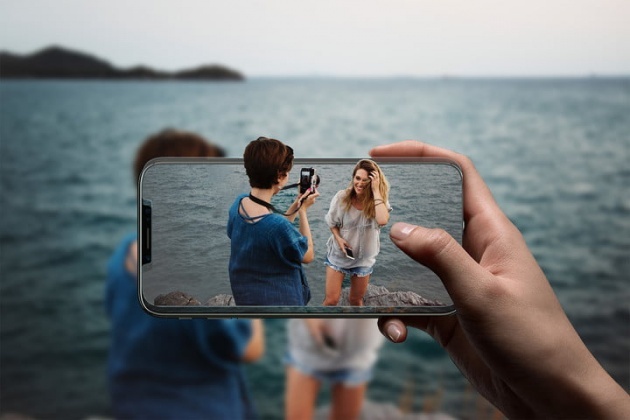 Lucid says the software was scaled down to into a lighter version, allowing the software to run on smartphones without high-end processing chips. Both the app and the screen protector sizes will be compatible with iOS and Android.